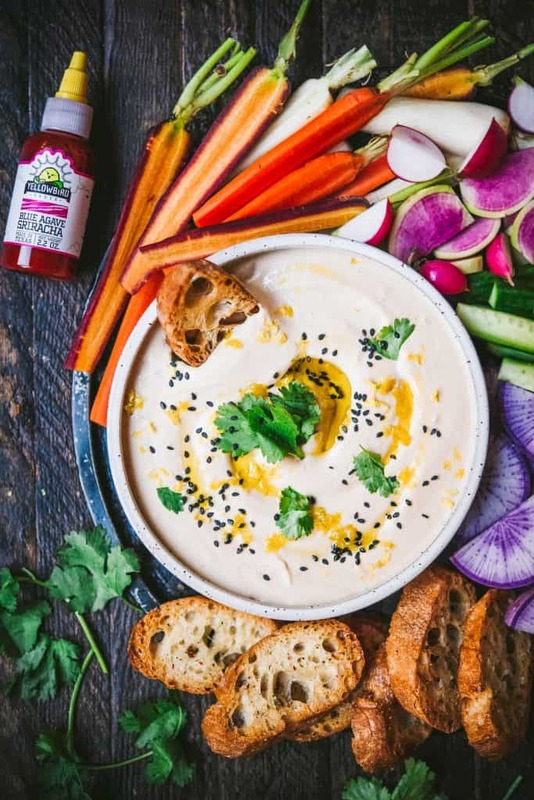 The key to making this spicy Sriracha white bean dip extra creamy is to use a high-speed blender instead of a food processor. It may take a few extra minutes because you’ll probably have to stop once or twice to scrape down the sides. But we promise it’s worth it! We tried this in a food processor first, and it just doesn’t come out the same. The texture ends up being a bit more gritty and thick. A blender creates the soft, whipped texture that’s ideal for a dip. We are excited to partner with Yellowbird Foods to create this recipe with their Blue Agave Sriracha. 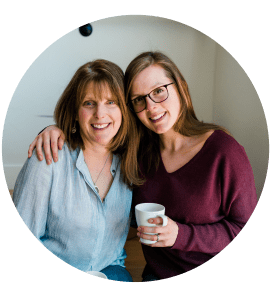 Yellowbird products are one of our favorite new finds this year! Their hot sauces are super flavorful and fresh tasting because they use fresh, whole vegetables and fruits. My husband and I have been using their habanero sauce every taco night this month. And I can assure you taco night often happens more than once a week! 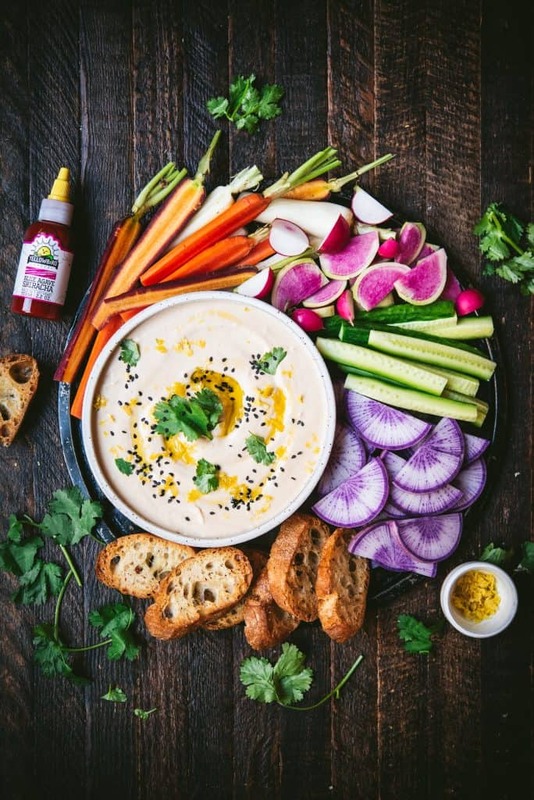 We love Yellowbird Sriracha paired with tofu and obviously, this dip. To add extra flavor to this spicy dip, we used a few cloves of roasted garlic. I’m personally a bit sensitive to raw garlic, but I adore roasted garlic, so it’s a no brainer for me. If you love raw garlic, feel free to skip the roasting step. I just love the punch that the slightly sweet, caramelized flavor of roasted garlic really adds. 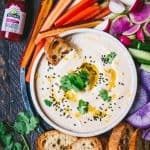 You can serve the white bean dip with fresh veggies, of course, but it’s extra delicious slathered on toasted baguette. To make baguette croutons, simply slice a few slices of baguette on the diagonal. Then liberally brush the bread with olive oil and a little salt and pepper. Toast in the oven on a baking sheet for about 8 minutes at 375 F. Yum! Oh and if you’re looking for tips on creating your own beautiful appetizer platter featuring this dish, see our tips here. 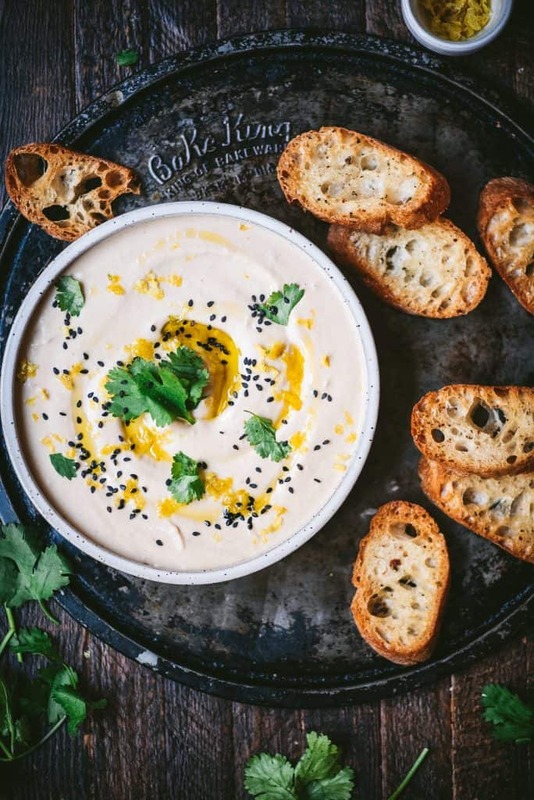 This creamy white bean dip has the perfect hint of spice, thanks to sriracha! We love serving it with toasted bread and fresh crudités. To roast garlic, preheat oven to 400 F.
To roast a whole head of garlic (which we suggest), slice off the top just enough to expose some of the cloves. Place on a small piece of aluminum foil. Drizzle with a bit of olive oil, salt and pepper, then wrap in foil and roast for about 30-40 minutes, or until cloves are tender and golden brown. Let cool slightly before using. Add cannellini beans, reserved bean liquid, tahini, lemon, garlic, sriracha, cumin and salt to blender. Blend on high speed for about 30 seconds – you may need to occasionally scrape down sides of blender to evenly incorporate. With blender running, slowly stream in olive oil and continue blending until very smooth – about one minute. Serve with crudités and toasted bread or pita. Enjoy! We’ve had much better success using a blender instead of food processor. No matter how long we blend in the food processor, it just doesn’t get nearly as smooth and creamy as it does in the blender!